Patra's Other Place: More wildlife experiences. The previous post was about the kookaburras in our back yard, and it was a bit too long to attach this story, hence the separate post. On ANZAC Day, after we watched the various services on t.v. 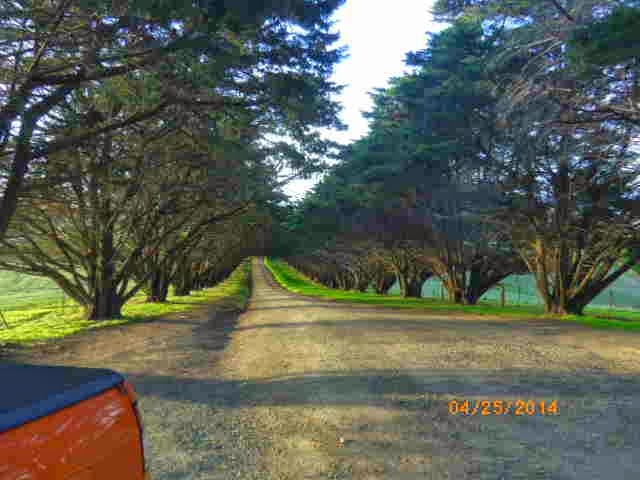 we decided to go for a drive, as it was one of those perfect Melbourne autumn days. 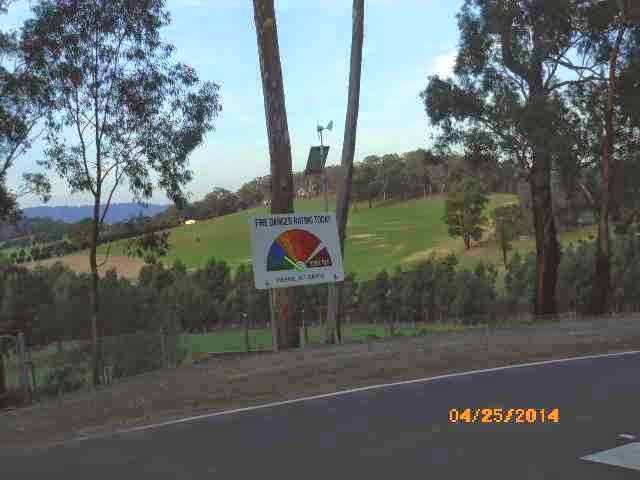 I wanted to go up to the Dandenongs, but Ken had other ideas, and as the driver, he didn't take any notice of my protests when he headed in the opposite direction - he had plans of his own! 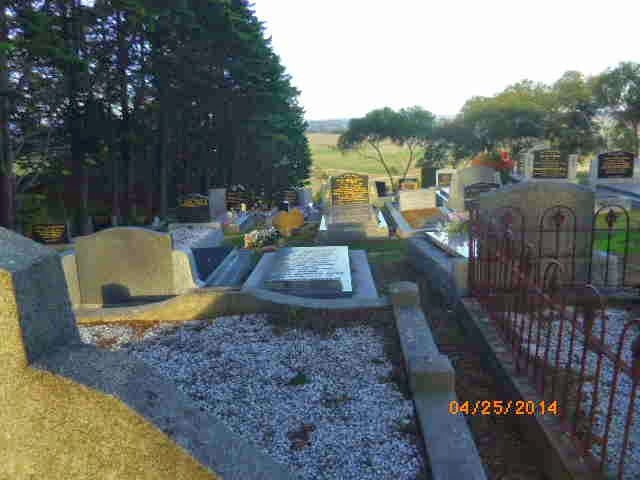 A few weeks ago he had been out on his own somewhere and had passed a small country town cemetery that he wanted to have a closer look at, so that's where we went. 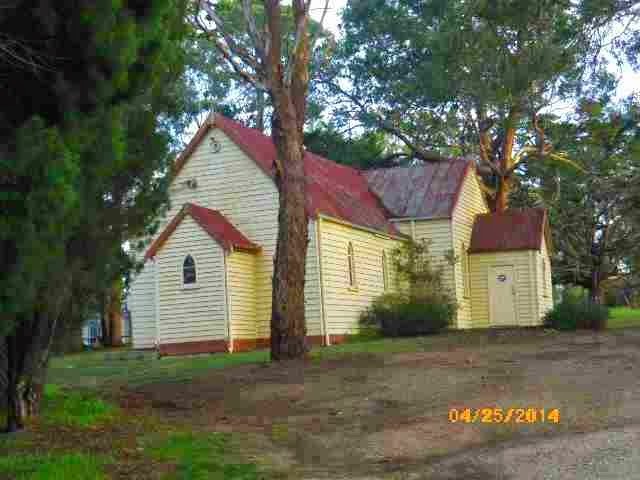 Wikipedia have a nice concise write up about Arthur's Creek, so if you want to know more about it, click on the link. 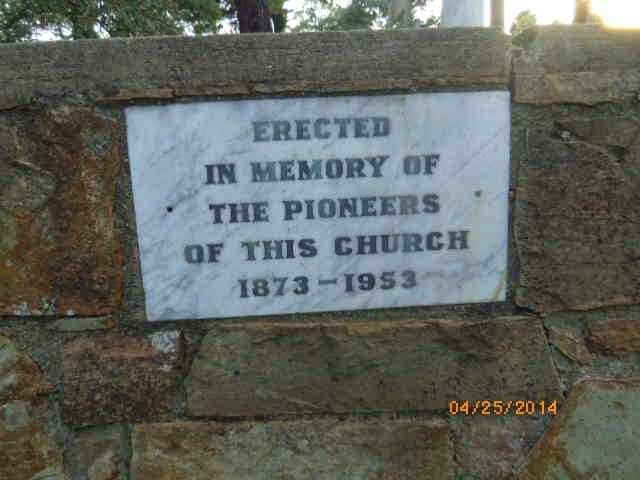 It is a VERY small town by anyone's standards, but has an interesting history. 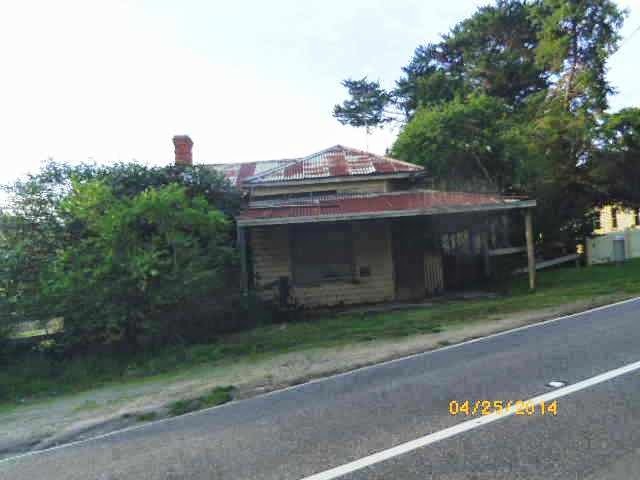 A more modern house stands behind this shack, and one wonders why it wasn't pulled down because it is so dilapidated that it hardly seems worth saving. 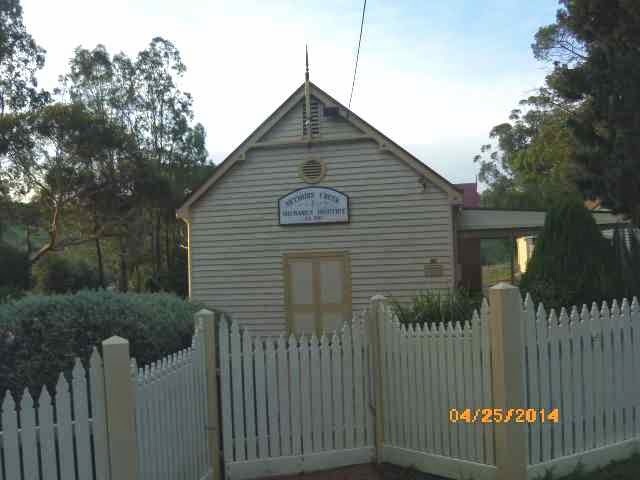 Arthur's Creek Mechanics Institute Hall. Do other countries have these? 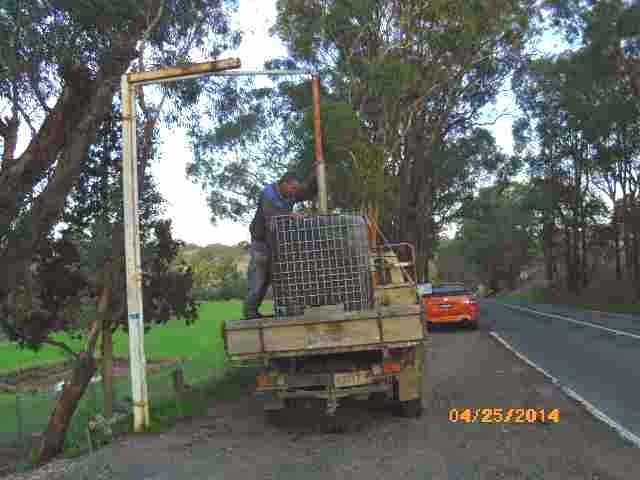 This farmer explained that he was drawing water from a roadside supply, filling the tank on his truck because there was no water on the paddock where his cows are. He also told me he breeds Clydesdale Horses, as they are in danger of dying out because they aren't used by farmers any more. 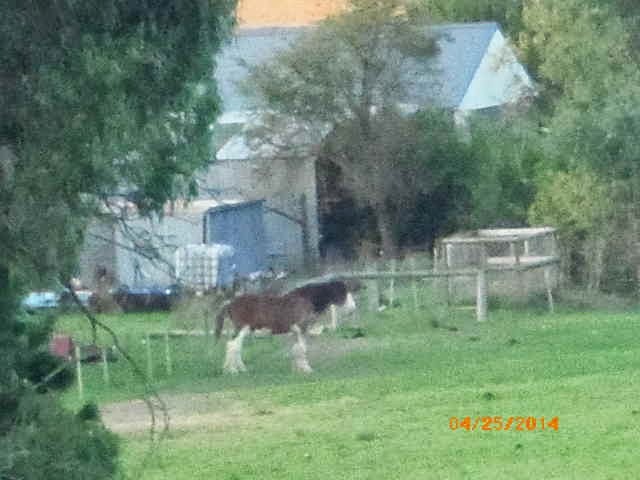 This pic was taken using the zoom on my trusty camera, which picked up the horse that looked like a brown speck to my eyes, until the farmer pointed it out to me. He was surprised to see it so close up on my camera face! 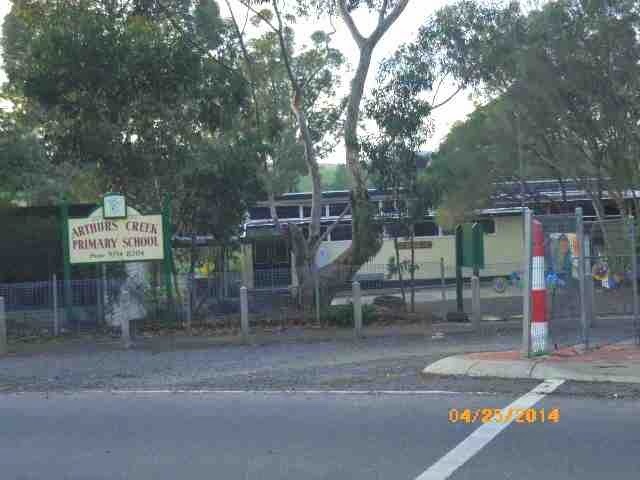 Arthur's Creek Primary School. When the children leave this school they will have to travel a lot further for their secondary education. 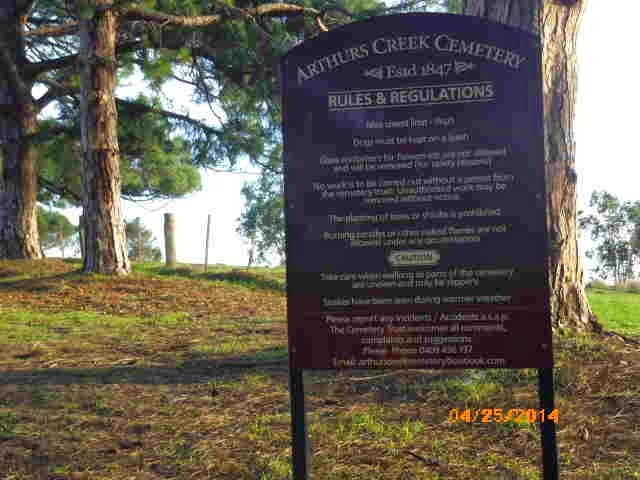 At our destination: Arthur's Creek Cemetery. The cemetery is at the end of an unmade road about a kilometre long. But the views at the top make the dusty drive worthwhile. Ken says it would be worthwhile being buried here just to have that view, and it seems that a lot of people buried their family members with that in mind, as the headstones are all facing down the hill! 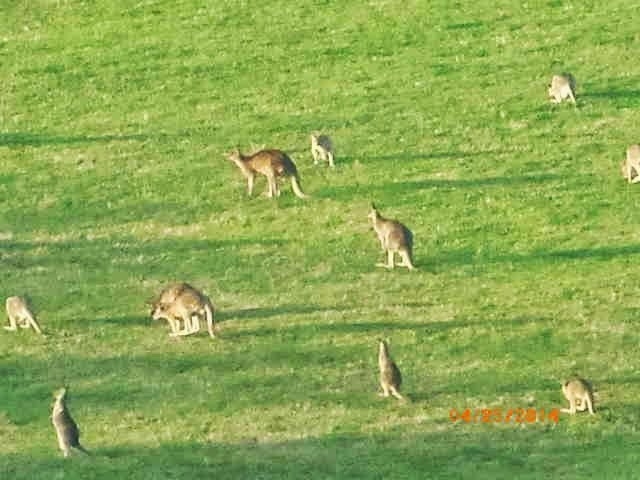 Looking down over the valley, we spotted a herd of kangaroos grazing - see the dots in the centre of the photo below? My camera has a nifty zoom feature, so I was able to get some closer pics. 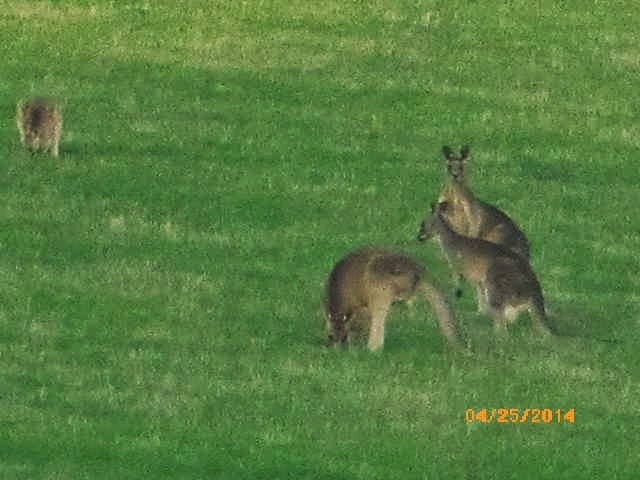 Roos seem to sense humans, and although we were the only people around, these ones looked straight at me, and started to move away. 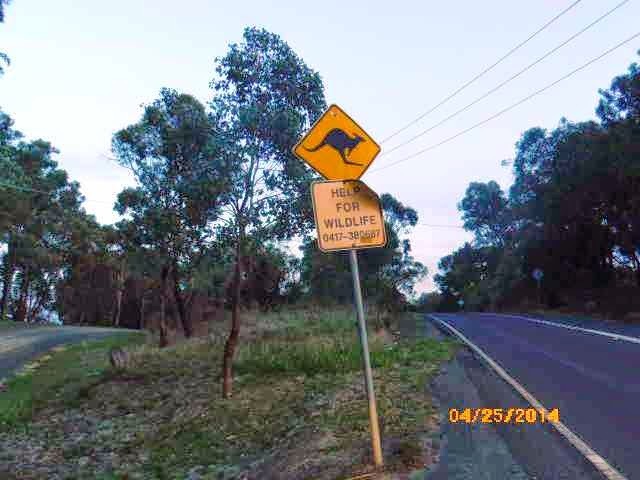 These signs are very necessary on roads where roos are known to graze nearby. 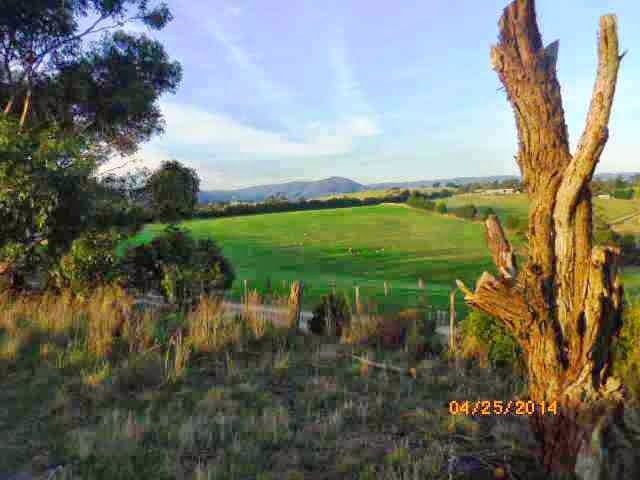 This was taken just a few kilometres from where we live. What a great little town, I shall have to google as I've not heard of it at all! Sounds like you had a nice day out.